George Ackerman, MS, MBA, Nova Southeastern University; PhD, Norfolk State University. Binta Alleyne, BA, MA, Clark Atlanta University; PhD, University of Tennessee. Beth E. Amey, BA, Bloomsburg University; MSW, Marywood College; PhD, Florida Atlantic University. Annette Anderson-Engler, BSW, University of North Texas; MSW, Walla Walla College; MS, Nova Southeastern University; PhD, Saybrook Graduate School. Pablo Arriaza, BS, MSW, Florida State University; PhD, University of Alabama. George Ayers, BS, The College of William & Mary; MSSW, Virginia Commonwealth University; DSW, Tulane University. Kristin Ballard, BA, University of Maryland; PhD, Capella University. Kara Beckett, BS, University of Maryland; MS, Howard University; PhD, Rutgers University. Barbara Benoliel, BA, University of Toronto, Canada; MS, University of Tel Aviv, Israel; PhD, Walden University. Mary Bold, BA, Syracuse University; MS, PhD, Texas Woman’s University. Kristin Bolton, BA, Purdue University; MS, University of Illinois; PhD, University of Texas—Arlington. Mavis B. Braxton, PhD, Walden University. Stephen C. Brown, BS, MSW, Jackson State University; EdD, University of LaVerne. Angela N. Bullock, BA, Grambling State University; MSW, Georgia State University; PhD, Clark Atlanta University. Nancy J. Campbell, AA, Milwaukee Area Technical College; BS, MSW, University of Wisconsin Milwaukee; MS, Cardinal Stritch University; PhD, Walden University. Marie Caputi, AB, Barnard College; MSSW, Columbia University; PhD, St. Louis University. Catherine A. Carballeira, BA, Barnard College, Columbia University; MA, MS, Columbia University Graduate School of Arts and Sciences; MSW, Adelphi University School of Social Work; PhD, Stony Brook University. Veronica Carey, BA, University of Delaware; MS, Lincoln University; PhD, Capella University. Andrew Carpenter, BS, MS, Oxford University—England; PhD, University of California—Berkeley. Marnie Carroll, BA, University of Northern Texas; MA, New York University; PhD, University of Colorado. James Castleberry, MS, Minnesota State University Mankato; PhD, Capella University. Nicole Cavanagh, BA, MS, PhD, University of South Carolina. Yvonne M. Chase, BS, Loyola University; MSW, Howard University; PhD, Norfolk State University. Patricia Coccoma, BS, St. Joseph College; MSW, Adelphi University; EdD, Argosy University. Edgar Colon, BA, The City University of New York, Richmond College; MS, Columbia University; PhD, The University of New York Graduate Center. Alex D. Colvin, BA, Prairie View A&M University; MSW, University of Houston; PhD, Texas A&M University. Douglas A. Crews, BA, Belmont University; MSW, University of Central Florida; MDiv, Vanderbilt University; PhD, University of Utah. Kevin Daniels, BS, Morgan State College; MS, University of Maryland Baltimore County (UMBC); EdD, Morgan State University. Cynthia L. Davis, BA, MSW, University of Tennesee; PhD, University of California, Los Angeles. Beverly A. Dawson, MSW, PhD, University of Michigan. Kendra P. DeLoach-McCutcheon, BS, University of North Carolina at Charlotte; MSW, PhD, University of South Carolina. Garth den Heyer, EdD, University of Virginia. Pamela Denning, BSW, North Carolina State University; MSW, East Carolina State University; PhD, Capella University. Colette Duciaume-Wright, MS, Our Lady of Lake—Texas. Gretchen E. Ely, BA, University of Tennessee; MSW, Washington University in St. Louis; PhD, University of Tennessee. Kimberly Farris, BA, University of Georgia; MSW, Clark Atlanta University; PhD University of Texas at Austin. Lynn M. Frederick, BA, Chadron St. College; MSW, University of Iowa; PhD, University of South Carolina. Kevin Feisthamel, MS, John Carroll University; PhD, University of Akron. Tami J. Frye, BA, Asbury University; MSW, University of Georgia; PhD, Capella University. Angela K. Gaddis, MSW, University of Southern Mississipppi; PhD, University of Alabama. Andrew Garland-Forshee, BA, The Evergreen State College; MA, Pacific Oaks College; PhD, Walden University. Trevor Gates-Crandall, BA, Christopher Newport University; MS, Norfolk State University—Virginia; PhD, University of Illinois. Catherine Gayle, BS, Tuskegee University; MS, Florida State University; PhD, Clark Atlanta University. Takeisha G. George, BA, The University of Massachusetts; MSW, The University of Georgia; PhD, Clarke Atlanta University. Savvas Georgiades, BSC, Lancaster University; MSW, University of Georgia; PhD, Florida International University. Matthew Glowiak, BS, University of Illinois; MS, PhD, Walden University. Kathyanne U. Goodridge-Purnell, MSW, Alabama A&M University; PhD, Capella University. Cherese N. Godwin, MSW, University of Pennsylvania; PhD, Clark Atlanta University. Lisa A. Gray, BS, Texas State University; MSW, University of Texas at Austin; PhD, Virginia Commonwealth University. Analeah Green, BA, State University of New York at Cortland; MSW, New York University; PhD, Walden University. Sha-Rhonda Green, MS, University of Georgia; MS, Georgia Southern College; PhD, Walden University. Shareaka N. Green-Miller, BS, Georgia Southern University; MSW, Savannah State University; PhD, Walden University. Charlene Greenidge-Lane, BA, York College (CUNY); MSW, New York University; PhD, Adelphi University. Jessica Guzman-Rea, BA, Case Western Reserve University; MSW, Columbia University; EdD, University of Rochester. Linda Hadeed, BA, Cedar Crest College; MS, Columbia University; PhD, Columbia University. Nicole Hamilton, MS, Our Lady of the Lake University, PhD, Capella University. Dana K. Harmon, BA, The University of Alabama; MSW, Loyola University Chicago; PhD, The University of Alabama. Jeffrey Harlow, MS, Gordon-Conwell Theological Seminary; PhD, Bryn Mawr College. Cathy Harner, BS, Philadelphia Bible College; MSW, Indiana University School of Social Work; PhD, University of Illinois. Teresa S. Harper, BS, Tusculum College; MSW, Virginia Commonwealth University; PhD, Arizona State University. Christopher Harris, BS, Saint Vincent College of Pennsylvania; MS, PhD, Widener College. Sandra Harris, MEd, PhD, Auburn University. Avon Hart-Johnson, MS, George Washington University; MS, PhD, Walden University. Renata A. Hedrington-Jones, BA, Virginia Intermont College; MSW, Virginia Commonwealth University; PhD, Walden University. Randy Heinrich, MEd, Northern Arizona University; PhD, University of Phoenix. Edward J. Hernandez, BA, Brooklyn College; MSW, PhD, Stony Brook University. Scott Hershberger, BA, Florida Atlantic University; MA, PhD, Fordham University. Greg Hickman, BA, MS, PhD, Ohio State University. Sean R. Hogan, BA, MSW, PhD, University of California, Berkeley. Janine D. Holstein, MSW, University of North Texas; MSW, New York University; PhD, Pacifica Graduate Institute. Julie Hopkins, BA, Emory and Henry College; MS, Virginia Commonwealth University—-Virginia; PhD, University of Alabama. Natasha Houston, BA, Montana State University—Billings; MSW, Walla Walla University; EdD, Nova Southeastern University. Aronda Howard, BS, Coppin State College; MSW, Howard University; PhD, Morgan State University. Camille L. Huggins, BA, State University of New York at Buffalo; MSW, Columbia University; PhD, New York University. Andrea E. Iavarone, BSW, Illinois State University; MSW, University of Illinois; PhD, Institute for Clinical Social Work. Jan Ivery, BA, Indiana University of Pennsylvania; MS, University of Pittsburgh; PhD, Virginia Commonwealth University. Jessica Jablonski, BA, Montclair State University; MS, PsyD, Chestnut Hill College. Tracy Jackson, MSW, Indiana University South Bend; PhD, Capella University. Jeanna M. Jacobsen, MSW, Columbia University; BS, PhD, University of Utah. Tina Jaeckle, BS, Florida Southern College; MS, PhD, Nova Southeastern University. Donna James, BS, MS, Florida State University; PhD, University of Tennessee. Kendall A. Johnson, BS, Savannah State University; MSW, University of South Carolina; EdD, Fielding Graduate University. Shari Jorissen, MS, University of Florida; EdD, PhD, Walden University. Sylvia Kaneko, BA, University of North Carolina at Chapel Hill; MSW, University of Hawaii; PhD, Smith College. Laura E. Kaplan, BA, Richmond College; MSW, PhD, University of Kentucky. Kriss Kevorkian, BSW, Humboldt State University; MSW, Delaware State University; PhD, Union Institute and University. Kimberly A. Kick, BS, Loyola University of Chicago; MSW, Loyola University of Chicago; PhD, Capella University. Kenneth M. Larimore, BA, BS, Kentucky Christian University; MA, Lincoln Christian Seminary; MSW, The Ohio State University; DMin, Fuller Theological Seminary; MDiv, Lincoln Christian Seminary. Mary Larscheid, BA, Augustana College; MSW, University of Nebraska at Omaha; PhD, Capella University. Erick C. Lear, BA, Kent State University; MA, Case Western Reserve University; PhD, Capella University. Terri D. Lewinson, BA, University of South Carolina; MSW, PhD, University of Georgia. Lindy L. Lewis, BSW, Salisbury University; MSW, PhD, University of Maryland at Baltimore. Andridia V. Mapson, BA, Clark Atlanta University; MSW, Clark Atlanta University; PhD, University of Tennessee. Martha J. Markward, AA, Grand View College; BA, University of Northern Iowa; MSW, PhD, University of Illinois—Urbana. Bernadette C. Marson, BSW, MSW, Adelphi University; PhD, Walden University. Michelle E. Martin, MA, University of Bradford; MSW, University of Illinois, Chicago; PhD, University of Bradford. Amos D. Martinez, BA, University of Northern Colorado; MA, University of Colorado—Denver; MSW, University of Utah; PhD, University of Colorado—Denver. Aileen J. McCabe-Maucher, BA, West Chester University of Pennsylvania; BS, University of Delaware; MSW, Widener University; PhD, University of Pennsylvania. Donna McElveen, BA, Virginia Wesleyan College; MSW, University of St. Thomas/College of St. Catherine; DSW, Capella University. Peter J. Meagher, BA, Lawrence University; MS, University of Wisconsin—Madison; PhD, Bowling Green State University. Janella Melius, BS, University of the Virgin Islands; MSW, University of Akron, Ohio; PhD, Norfolk State University, Virginia. Lakisha Mearidy-Bell, BS, Southern University and A&M College—Baton; MS, Louisiana State University; PhD, Capella University. Deborah Mills, MS, Temple University,Texas; PhD, Capella University. Frances Mills, MSW, PhD, University of South Carolina. Brittany O. Miskowiec, BS, MSW, PhD, Louisiana State University. Lisa B. Moon, BSW, University of Louisiana—Monroe; MSW, University of Southern Mississippi; PhD, Louisiana State University. Nathan Moran, Midwestern State University, Sam Houston State University. Peggy Morrison, BA, Emory University; MSW, University of Georgia; PhD, University of Cincinnati. Stephanie A. Muri, BA, Emmanuel College; MSW, Boston College; PhD, Boston College. La Tonya M. Noel-Wilburn, BA, MSW, California State University, Fresno; PhD, University of Texas at Austin. Chukwuyem Odiah, MSW, University of Tampere, Finland; PhD, University of Toronto, Canada. Folusho Otuyelu, PhD, Fordham University. 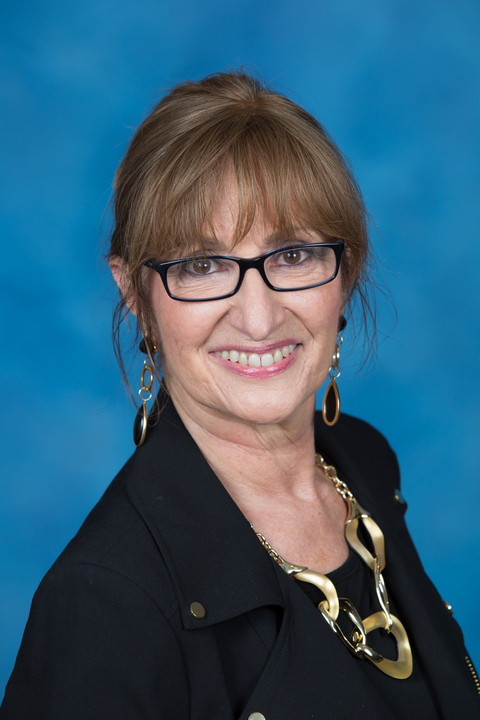 Maria C. Pandolfi, MSW, San Diego State University; EdD, Argosy University. Ivan L. Page, BA, MSW, Rutgers University; PhD, Clark Atlanta University. Susan T. Parlier, BA, Columbia College; MA, Lenore-Ryne Lutheran Theological Southern Seminary; MSW, Virginia Commonwealth University; PhD, University of South Carolina. Paige L. Parker, BA, Howard University; MS, Bank Street College of Education; MA, Stanford University; MA, California School of Professional Psychology; PhD, California Institute of Integral Studies. Richard Percy, BA, MS, Syracuse University; PhD, University of Virginia. Tracey Phillips, MSW, University of South Carolina—Columbia; PhD, Regent University. Jonataye Prather, BA, MS, PhD, Ohio State University. Demetra Stackhouse Powe, BA, Florida State University; MS, Florida A&M University; PhD, Clark Atlanta University. Valerie Quarles, BS, Springfield College; MSW, Fordham University; PhD, Capella University. Valerie Radu, BS, Southern Adventist University; MS, Walla Walla College; PhD, Case Western Resrve Institute. Diane H. Ranes, BS, Rhode Island College; MA, Columbia University, Teachers College; MSW, PhD, New York University. Stacee Reicherzer, BA, University of Phoenix Online; PhD, Saint Mary’s University. Deborah Rejent, BA, MA, University of California, Los Angeles; MSW, PhD, Columbia University. Debora S. Rice, BA, University of North Carolina at Asheville; MSW, PhD, University of South Carolina. Kristin V. Richards, BSW, Belmont University; MSW, University of Pennsylvania; PhD, Florida State University. John Riolo, BA, Fordham University. Emmett R. Roberts, BS, MSW, University of Oklahoma; PhD, University of Texas at Arlington. Vanessa M. Robinson-Dooley, BA, Spelman College; MPA, Drake University; MSW, PhD, The University of Georgia. Richard Rogers, BA, University of Illinois at Chicago, PhD, Princeton University. Diane Rullo, BA, MA, Montclair State University; MSW, PhD, Fordham University. Suhad Sadik, BA, MS, PhD, University of South Carolina. Mashooq A. Salehin, MSW, Southern Illinois University at Carbondale; PhD, The University of Texas at Arlington. Linda F. Samuel, BS, South Carolina State University; MSW, University of South Carolina; PhD, Clark Atlanta University. James Schiller, MSW, Adelphi University; PhD, Walden University. Dorothy Scotten, MSW, Smith College; PhD, Lesley University. Searles Killian Searles, BS, MS, Rutgers University; PhD, Temple University. Barbara Shortridge, MSW, University of South Carolina; PhD, Capella University. Oren Shtayermman, BSW, Haifa University; MSW, New York University; PhD, Fordham University. Gaynell Simpson, BS, MS, University of Missouri, Columbia; PhD, University of Maryland. Gilbert T. Singletary, MSW, University of Louisville; PhD, University of Kentucky. Kenneth Smith, BA, Southwest Texas; MS, University of Texas at Austin; PhD, Florida State University. Virginia Smith, BS, Temple University—Pennsylvania; MS, PhD, University of Pennsylvania. Curt Sobolewski, BA, Indiana University; MS, Baylor University; PhD, Arizona State University. Christian Schoepp, MPA, Florida International University, PhD, Nova Southeastern University. Dionne Spooner, BS, Minot State College; MS, Florida State University; PhD, Walden University. Kim L. Stansbury, BS, University of Southern Mississippi; MSW, Southern Illinois University; PhD, University of Kentucky. Andre Stevenson, MPH, Ms, PhD, University of Pittsburgh. Hayley Stulmaker, MS, Texas Woman’s University; PhD, North Texas State University. Tamara L. Temoney, BS, University of North Carolina—Greensboro; MSW, University of Georgia; PhD, Virginia Commonwealth University. Sherlina Thomas, BS, University of Central Florida; MS, Florida State University; PhD, Walden University. Mohammad T. Tirmazi, AA, Rio Hondo Community College; BA, California State University, Monterey Bay; MSW, Howard University; PhD, Howard University. Teresa Tirrito, MSW, Adelphi University; PhD, Fordham University. Tammy Totten, BA, MS, Stephan F. Austin State; EdD, Texas Southern University. Felicia Tuggle, BS, Point University; MS, Clark Atlanta University; PhD, Auburn University. Joan Vermillion, BA, Penn State University; MBA, Devry University; MS, Penn State University; PhD, University of Florida. Regina M. Varin-Mignano, BA, Long Island University—Brooklyn; MSW, PhD, Adelphi University. Margarita Villagrana, BA, California State University, Northridge; MSW, California State University, Long Beach; PhD, University of Southern California. Karen Y. Watkins, BS, Florida State University; MSW, New York University; PhD, University of Georgia. Elizabeth Walker, BSW, Memphis State University; MSW, University of Tennessee at Memphis; EdD, University of Arkansas at Little Rock. Chenobia Webster, BA, The University of Memphis; MSW, University of Tennessee; DSW, University of Tennesee. Jan White, MS, Fort Hays State University, PhD, Capella University. Deborah Whitley, BA, MS, Case Western Reserve University; MPH, PhD, University of Pittsburgh. Kristin Faix Wilkinson, BS, Clarion State College; MS, West Chester University; PhD, Walden University. Norissa Williams-Atingdui, BS, St. John’s University; MSW, Stony Brook University; PhD, Fordham University. Sharon E. Williams, BA, Albany State University; MSW, Delaware State University; PhD, Florida State University. Debra L. Wilson, BA, Cedar Crest College; MSW, Marywood University; PhD, Queens University of Belfast. Felicia L. Wilson, BS, Alabama State University; MSW, Florida State University; PhD, Capella University. Jennifer L. Wilson, BS, San Francisco State University; MSW, PhD, Florida International University. Shanika Wilson, BA, University of Connecticut; MS, University of Wisconsin—Madison; PhD, University of Tennesse—Knoxville. Angela R. Wood, BS, MSW, Southern Illinois University; PhD, Tulane University. Deborah L. Word, BS, College of the Ozarks; MSW, PhD, University of Missouri—Columbia. Darrin E. Wright, BA, John Jay College of Criminal Justice; MSW, Columbia University; PhD, Clark Atlanta University. Jane Yank, MA, Saint Mary’s University of Minnesota; MSW, University of Wisconsin-Madison; PhD, University of Minnesota. Alice G. Yick, BA, Williams College; MSW, Columbia University; PhD, University of California at Los Angeles. Eric Youn, BA, University of Houston; MS, PhD, University of Texas. Shakebra L. Young, BA, Delta State University; MSW, University of Tennessee; PhD, Capella University. Jessica Ziembroski, MSW, University of Michigan; MA, University of Notre Dame.